A journey inside the mind of a young girl, and the five emotions who control her. "With Inside Out, Pixar have upped their game yet again. This is a film ostensibly aimed at five year olds which deals with the nature of depression, the continuity between positive and negative emotions and the redemptive power of the imagination." We’re in a strange moment in film history, where children’s characters are dirtied up and dumbed down for adult consumption, while under the nose of executives’ anxious to preserve their audiences from taxing complexity, children’s movies seem to be growing more daring, complicated and emotionally balanced. 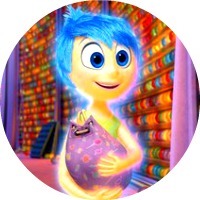 Inside Out, directed by Peter Docter (a great name or a deeply unfortunate one) is the latest Disney/Pixar animation. If you’re old enough and obscure enough to remember the Numbskulls comic strips then the premise won’t seem odd to you. The film is set inside the head of its protagonist, a young girl named Riley from Minnesota. Within her head, we are introduced to five emotions which govern her reactions on a moment to moment basis: Joy, Fear, Disgust, Anger and Sadness. These characters, voiced by Amy Poehler, Bill Hader, Mindy Kaling, Lewis Black and Phyllis Smith, live together in co-operation and comic misharmony, chiefly under the guidance of Joy, as Riley is a happy child. There are intimations that all will not always be well however. Sadness is beginning to get out of hand, and the smooth internal workings of Riley’s mind are showing signs of disruption. With Inside Out, Pixar have upped their game yet again. This is a film ostensibly aimed at five year olds which deals with the nature of depression, the continuity between positive and negative emotions and the redemptive power of the imagination. It shows a character trying to come to terms with a painful but perfectly mundane change in her life: Riley’s family up and leave her natal home to move to a cramped townhouse in San Francisco. She is on the cusp of puberty and doesn’t handle the upheaval well. Riley is probably the most naturalistic character Pixar have ever portrayed: since we literally see her inner life at play, from outside she emotes completely naturally, with no stage whispering or disguised exposition telling the audience what is happening. Inside her head, her mind is portrayed as a weird sort of industrial business park or worker’s village for feelings and servitors of her mental functions. She has a literal Train of Thought, massive banks of coloured globes like Sauron’s Palantir, which represent individual memories, each tinted according to their emotional tone, and there is a film studio where Riley’s dreams are staged and broadcast live. The art design is bright and detailed. This is an incredibly toyetic film. No two characters look alike, so let the buyer beware come Christmas shopping time. The message of the film will feel twee and unoriginal to some but it’s rare to find a kid’s film about growing up and having conflicted feelings which doesn’t have a character loudly announce what the lesson to take away should be. Inside Out uses its carefully selected design choices to show, rather than tell. 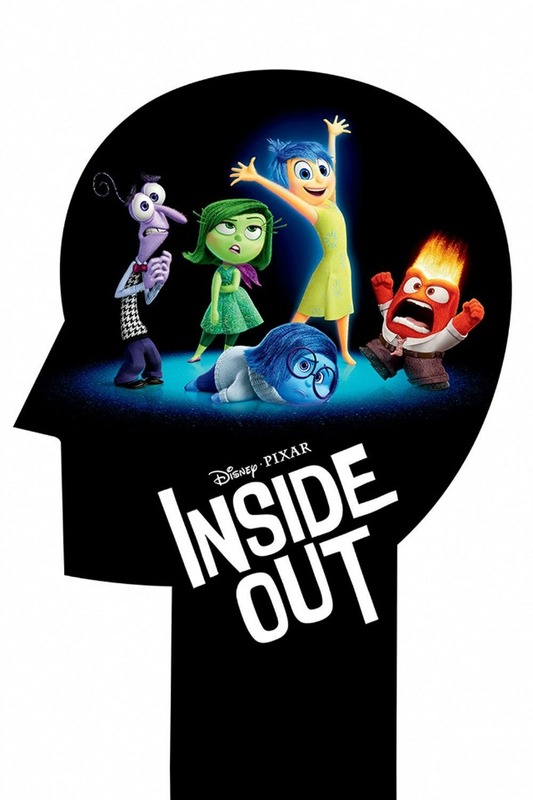 Inside Out – like Wall-E - is a film that can be enjoyed independent of any overall taste for the canon of Pixar hits.